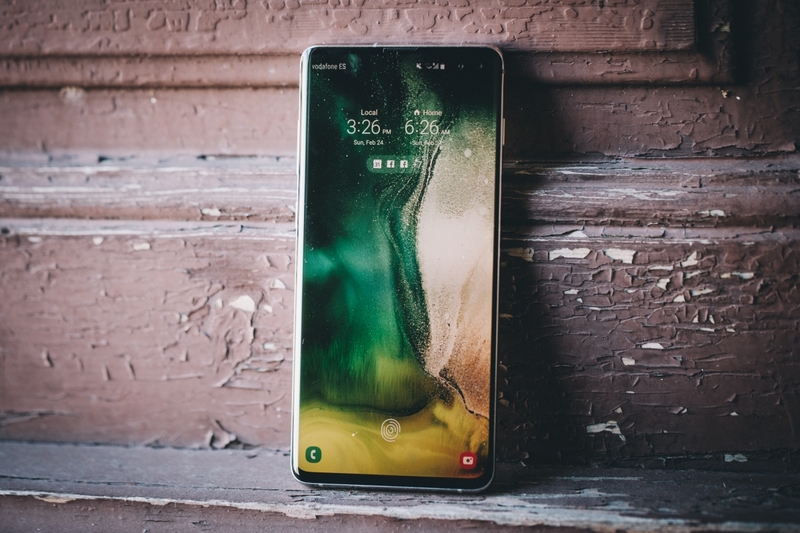 Bottom line: Samsung's first-half flagship, the Galaxy S10, is predictably a solid - albeit incremental - update that should hold traditional Android users over until the second half of 2019 when the next Note arrives. As has often been repeated in smartphone reviews of late, you won't find much here in terms of groundbreaking technology - for that, you'll want to open your imagination (and wallet) to the idea of the upcoming Galaxy Fold. Samsung’s Galaxy S10 launches worldwide on March 8. Samsung hosted a flashy media event to unveil the new family of handsets as well as its first foldable smartphone last week, touting a number of intriguing features and improvements to anyone that would listen. While the unique form factor of the Galaxy Fold may be the more intriguing of the two, reviewers on Friday were focused on the more traditional – and far more affordable – Galaxy S10 and Galaxy S10 Plus. Is there enough here to differentiate the device from previous Galaxy phones and keep buyers on this side of the foldable fence? Let's find out. Samsung is partial to glossy finishes that reflect light in unusual ways. My review unit is the 128GB version in Prism White, and it definitely reflects iridescent shades of pale blue, mint and pink in the light. This color is nice and subtle. Flamingo Pink, Canary Yellow, Prism Green and Prism Blue are bolder -- there's Prism Black as well. Right away I noticed that the S10 Plus has a tendency to slip out of hands and off surfaces, especially if they're not perfectly level. It's shot out from between my fingers numerous times, usually landing on my purse, a table or my lap. It also slid off my nightstand, a couch, a chair, but has emerged unscathed so far. I like to review phones the way they emerge from the box, but I'm going to want a case for this one. Samsung’s new Infinity-O screen is my favorite feature of the Galaxy S10+. It takes over almost the entire front of the phone and is brighter and more colorful than any phone I’ve ever used. There are tiny cutouts for the two front-facing cameras instead of a notch or big bezels on the top and bottom, and this makes it appear to be a single, all-screen slate. Since Samsung provides displays for Apple, my guess is we’ll see this technology, or something awfully similar, pop up in iPhones in the coming years. So, even if you don’t like Android phones, this is a display you should see for yourself. I pressed my thumb down on the screen, where the fingerprint sensor was embedded. “No match,” a message on the phone read. I pressed down again and got the same message. After five failed attempts, it asked for a passcode. “Great demo,” my partner said as she turned back to browsing Instagram on her phone. A few days later, Samsung issued a software update that it described as a security patch for biometrics. After I installed it and re-enrolled my fingerprints, the Galaxy’s reader showed a marked improvement. The phone registered my print to unlock the phone the majority of the time, though there were still occasional failures. My bumpy experience with the print sensor firmed up one conclusion: Face recognition is a more convenient method for unlocking phones, and Samsung is behind Apple in this area. The Samsung S10 Plus, like the S10, includes a robust triple-lens rear camera array, comprising a 12MP regular lens, a 12MP optically zoomed telephoto lens, and new 16MP ultra-wide lens. Using Samsung’s dual-aperture lens on the regular camera we were able to capture vibrant-looking photos and even fairly good low-light pictures. The quality isn’t always consistent (advice: take lots of the same photo), and it lacks something like Google’s dedicated long-exposure Night Vision mode, but it ranks among the best camera phones for 2019. What Google doesn’t have on its main camera is the ability to shoot wide photos. Samsung’s ultra-wide lens has a 123-degree field of view, and it’s great for cramming more into the frame – so when you’re posing in front of tall buildings and iconic statues, whoever’s lucky enough to be taking your picture won’t be forced to cross the street in order to do so. As the first phone with Qualcomm’s 7-nanometer Snapdragon 855 processor in the U.S., the Galaxy S10 Plus is the fastest Android phone we’ve ever tested—even if the iPhone XS is faster in some tests. I played the Asphalt 9 racing game without a hint of lag. And in Mortal Kombat X, the graphics were so gory that when I burned a hole through someone’s torso, I felt like I was playing on a console. On Geekbench 4, which measures overall performance, the S10 Plus turned in a multi-core score of 10,732, which beats the Galaxy Note 9 (8,876), OnePlus 6T (8,972) and Pixel 3 (7,316). All three of those phones use last year's Snapdragon 845. The iPhone XS, powered by an Apple designed A12 Bionic chip, hit a higher 11,420 on Geekbench 4. However, the Galaxy S10 Plus pulled ahead in graphics testing, as it notched a great 3DMark Sling Shot Extreme score of 5,648 (on the OpenGL ES 3.1 test). That beats the iPhone XS (4,339), last year’s Galaxy S9 (4,634), the Pixel 3 XL (4,396) and OnePlus 6T (5,183). The other thing that the S10 shares with the iPhone is a lack of a compelling differentiator from its previous iterations. Sure, the screen is bigger and there are some incremental advancements in performance and battery life, but an S10 is not going to change much for you if you have a Galaxy S8 or S9. That said, the S10 is one of the best phones you can buy right now, and the best Galaxy S phone Samsung has ever made. It’s just going to cost you. The Galaxy S9+ was an S8+ with an extra camera. The Galaxy S10+ is an S9+ with an extra camera. So that would be 2 more cameras then if you're coming from the S8+, all by itself making it a worthy upgrade. If you're coming from the S9+ it's not as simple, though we would argue that with the S10+ the YoY improvements are more meaningful than what we had in 2018 - the ones we can name, but also the cumulative all-around refinement. We'd happily recommend the Galaxy S10+ if you want the absolute best Samsung has on offer right now. But realistically, the smaller Galaxy S10 would be our pick - essentially the same phone, only more affordable.